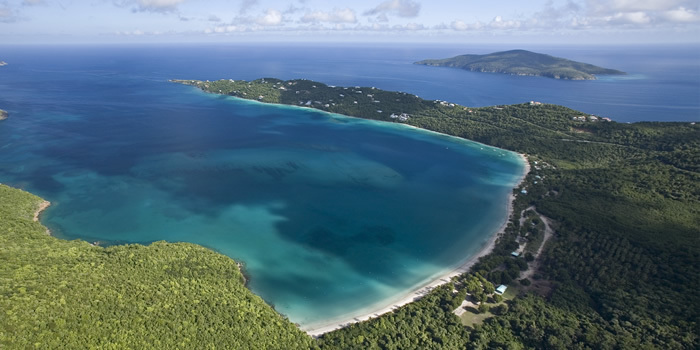 Estate Peterborg is a peninsula on the north shore of St. Thomas bounded on the one side by the turquoise waters of Magens Bay and on the other shore by the Atlantic Ocean. It is hard to find a property that does not have a spectacular view because of its topography. 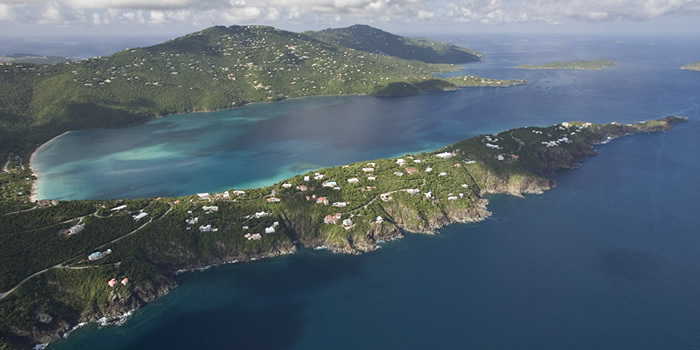 From a center ridge line that runs the length of the peninsula, the land slopes down to the water offering unobstructed views either of the bay or of the Atlantic and a limited number of the properties along the ridge have a view of both spectacular vistas. 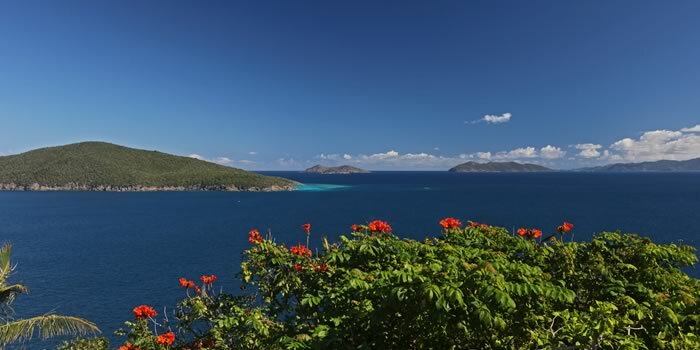 The properties on the windward or Atlantic side of the peninsula offer the “down island view”—a view of the islands and cays stretching into the British Virgin Islands and since our prevailing wind direction is East, Northeast, these properties enjoy the oft talked of cooling trade winds. The shoreline is like northern California with rocky cliffs above the water and the sound of the surf. 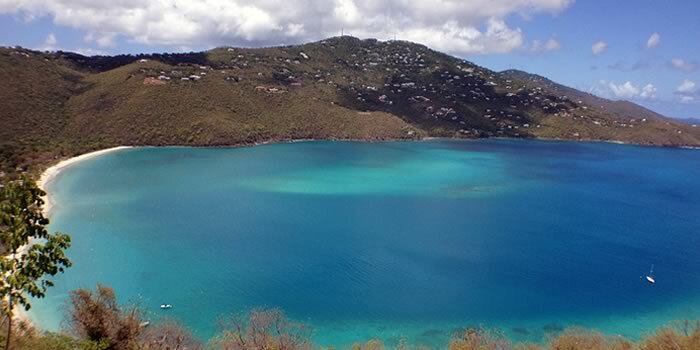 On the leeward side of the peninsula, the view is of the tranquil turquoise waters of Magens Bay. Those with a waterfront location on this side may have direct access for swimming and snorkeling as it is protected from the winds and a limited, lucky few may have a “pocket beach”, an actual short strip of sandy beach to call their own. There are a number of gated subdivisions: Peterborg East, Sydney’s Fancy, Red Rock Road and Dove Way. Upscale. Some smaller homes or home requiring remodeling can be in the 500K-700K price range but generally home prices are higher. Land along the ridgeline with a panoramic double view or waterfront and those waterfront on the leeward shore with direct swimming access are most expensive. 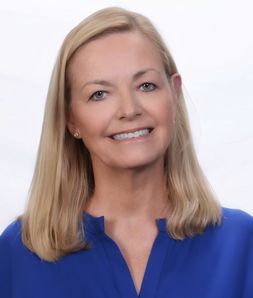 The build-ability of a lot comes into play in terms of value of land as some of the sites can be very steep or rocky and impact construction costs. 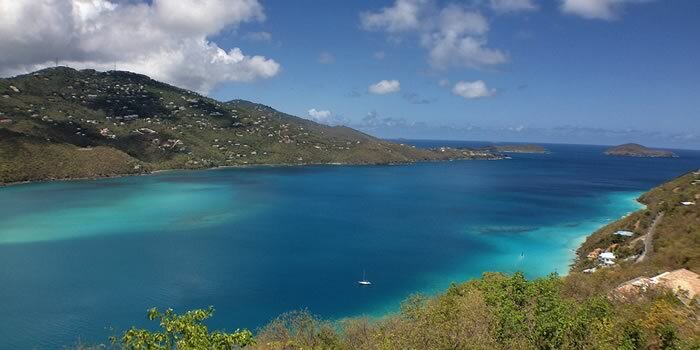 Peterborg offers the best of worlds with a wild and dramatic beauty that feels worlds apart but it is conveniently located to Magens Bay, Mahogany Run Golf Course, and, to downtown Charlotte Amalie. It is a popular neighborhood for full time residents and second home owners alike and there are quite a number of vacation villas located in Estate Peterborg. Magens Bay beach along with 50 adjoining acres, much of which is palm groves was conveyed as a gift to the people of the Virgin Islands by Arthur Fairchild in 1943 to be “Maintained as a public park (with its natural beauty preserved) for use by the people of the Virgin Islands in perpetuity…” Its 500 yard long beach, the Nature Conservancy nature trail, and the pristine waters are an attraction for residents and vacationers alike. The Grille restaurant is located in the club house at the Mahogany Run Golf Course. Good food and reasonable prices with indoor and outside dining for lunch and dinner. The Old Stone Farmhouse restaurant offering fine dining and a romantic setting is located within a restored 200 year old house that was originally part of a nearby Danish sugar plantation. Located through the Tennis Village entrance to Mahogany Run. Cup and Cork as the name implies is a cute little shop for grabbing a cup of coffee, latte or bottle of wine. They also offer breakfast fare and sandwiches and picnic baskets to take to the beach and serves as a mini, corner grocery. 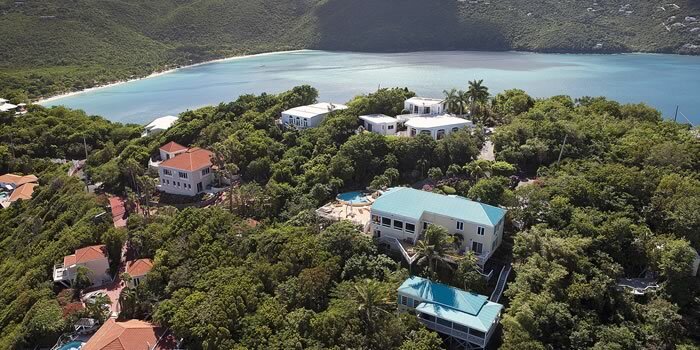 Located at Magens Point Resort on the route between Mahogany Run and Peterborg.